Established on a cliff along the tourist route, you will find this newly built Mexican style private villa, as part of “El Pueblo Villas”. 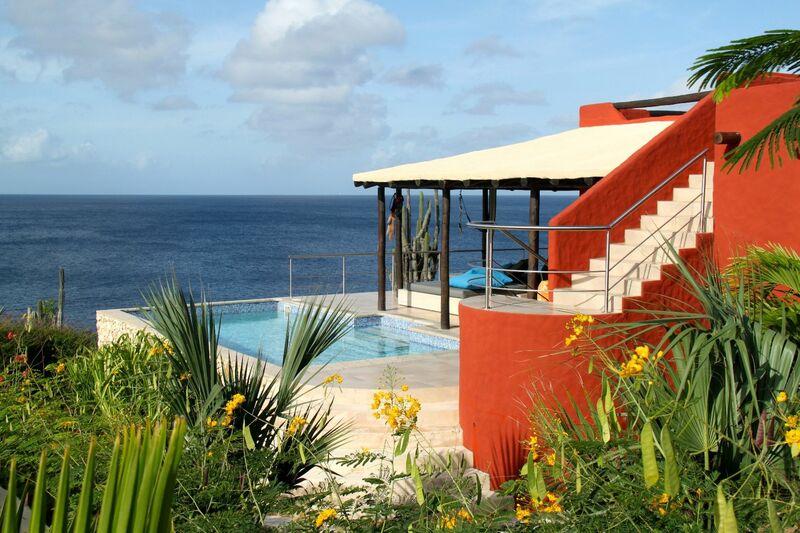 Enjoy the unique panorama view over the Caribbean Sea while sipping at a cocktail from your private rooftop terrace or from the covered porch. To cool down, just jump into your private pool! The covered porch includes a lounge bed to relax and a dining table to enjoy your outside dinners, with freshly grilled ingredients from your gas grill. From the patio, you can step into the villa’s living room that features a comfortable lounge set as well as a flat screen to enjoy your favorite television program! 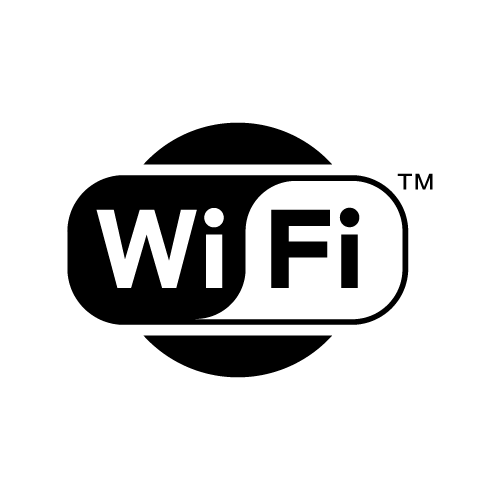 Stay connected with the rest of the world with the free WIFI the villa offers. The living room flows into the open plan kitchen that is fully equipped with appliances ranging from a dishwasher, an American style fridge-freezer and anything else you might need to prepare a wonderful home-cooked meal. 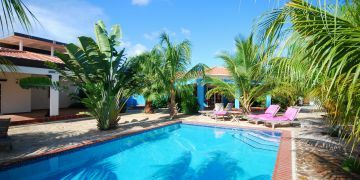 The villa’s three, fully air-conditioned bedrooms will comfortably sleep up to six guests. From the tastefully decorated master bedroom, which includes a king size bed, you step into the bathroom which features a double sink, double shower and toilet. The second bathroom, with sink, toilet and shower, is shared by the other two bedrooms, one with a queen size bed and the other with two twin beds. Plenty of top quality beach towels and towels will be waiting for you, changed with the complimentary midweek cleaning. Feel free to use the washing machine in the laundry room. Being surrounded by untouched nature, but still being only a 10 minute drive away from the capital city Kralendijk is a great highlight of this stunning villa, as well as the unique panorama views from the porch and rooftop terrace. 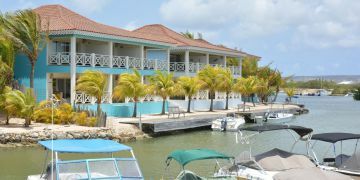 This is our 6th time on Bonaire and 4th time that we stay in Villa Kokopelli. It’s paradise! 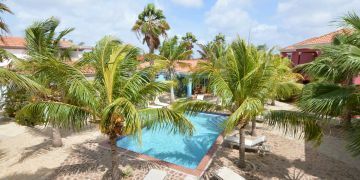 SUNBELT: thank you for your review and we look forward to welcome you back to Bonaire and El Pueblo!